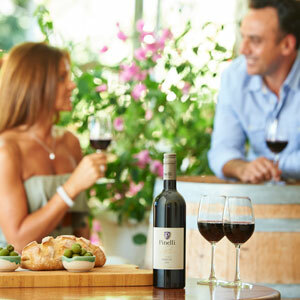 Share delicious modern Italian cooking with family and friends nestled amongst the grape vines of the Swan Valley. 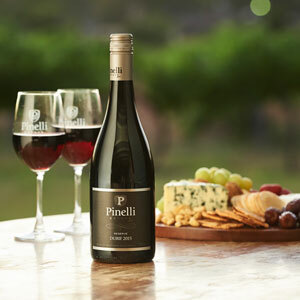 A day out in the Swan Valley, can only be improved with a visit to the Pinelli Estate Winery Restaurant. Set amongst the working vineyards of Pinelli Estate Winery and just metres from the Cellar Door, sits the newest Italian restaurant in the Swan Valley. The restaurant is an homage to the Pinelli family’s Italian heritage where food and wine is the soul of the Italian culture and the Italian’s love of dining is as much about pleasure as it is about nourishment. Nestled amongst the grapevines of the Estate, customers can choose from a delicious modern-Italian menu of platters, pasta and dishes off the grill for lunch and dinner. All of our meals are complimented with premium, handcrafted Pinelli Estate wines or other local and imported wines, beers or spirits. We want you to be able to sit back and relax and enjoy our friendly and efficient service in a comfortable setting. With a scenic view and fabulous food, it’s the perfect spot to enjoy a leisurely lunch or dinner. We are delighted to give our customers an Italian Restaurant in the Swan Valley that serves meals reminiscent of our parents’ homeland with a modern twist, while using the quality local produce wherever possible. Using the finest local produce, our Chef has created a menu that leaves you spoilt for choice. With a variety of shared platters, fresh pastas and dishes off the grill, a return visit is almost a requirement. 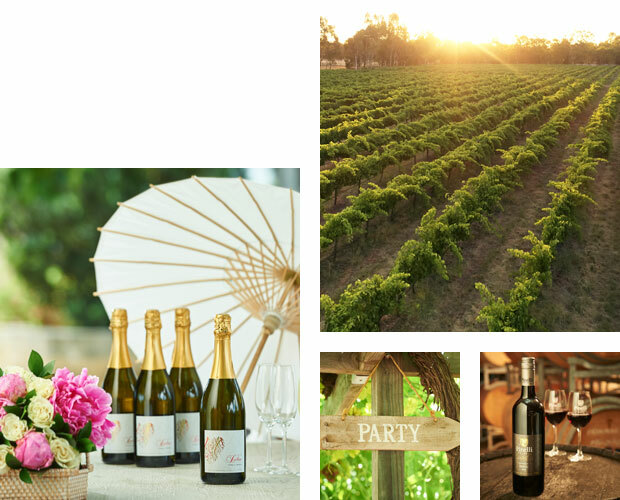 It’s hard to imagine a more tranquil setting for a Swan Valley wedding than Pinelli Estate Winery Restaurant. We are always honoured to host such a special event and committed to delivering on your perfect day with memorable food and great service. Ceremonies can be held on the Estate followed by your celebratory dinner reception with delicious food and wine. If you are looking for a Swan Valley venue to host your business or family function, we can cater for all requirements. From birthdays to business meetings, we can provide you with a great setting and memorable food. Treat your taste buds with delicious premium wines that have been handcrafted by our multi-award-winning family winemaking team. 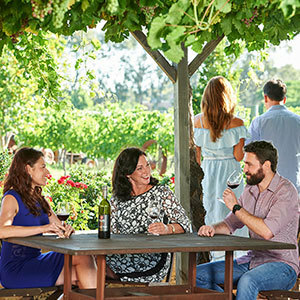 Our knowledgeable Cellar Door staff can guide you through the tasting and assist you in selecting a wine that suits your personal taste or is perfect for a special occasion. While you’re here you can settle in and enjoy lunch overlooking the vineyards in our restaurant, what a way to spend the afternoon in the Swan Valley. 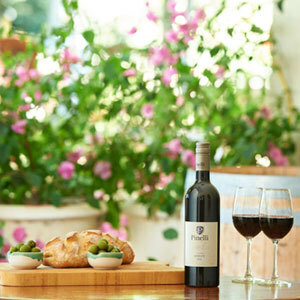 Our Cellar Door is open 7 days a week, from 10am – 5pm, with the exception of some public holidays. 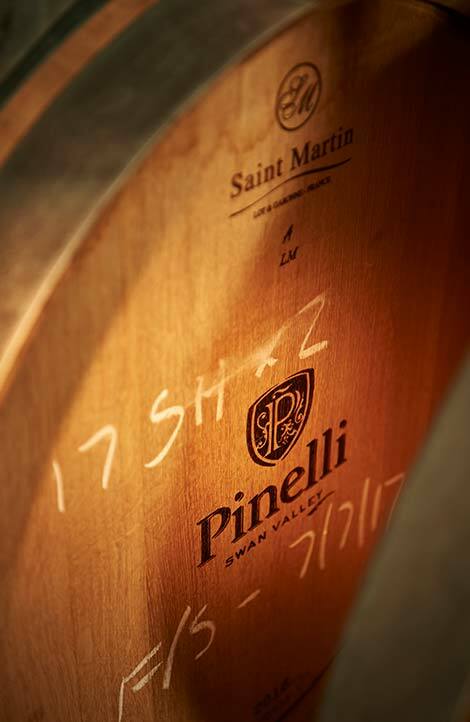 Come and visit the newest Italian Restaurant in the Swan Valley, the Pinelli Estate Winery Restaurant. Buon cibo, buon vino, buoni amici.